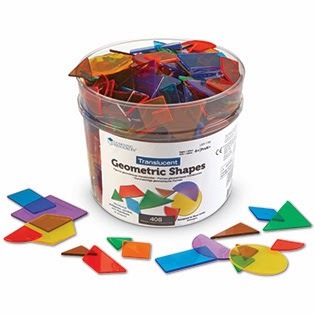 One lucky winner is going win a set of Translucent Geometric Shapes. To enter, simply use the Rafflecopter form below. This giveaway will end on March 24, 2014. Note: If you have won a Learning Resources giveaway on any Blog during the past 6 months, you are ineligible to win this giveaway! Once 6 months have passed, you may enter again. Good luck, everyone! *This blog has not been compensated to promote this giveaway. This giveaway is not affiliated with Facebook, Pinterest, or Twitter. I also like the Primary Science Mix & Measure Set! I like the early leaning counting cookies. I like the New Sprouts® Fresh Picked Fruit & Veggie Tote, great way to teach your kids what fruits and vegetables look like, and when you grow these in your garden, so they can play pretend too!